As now many more different types of mangoes imported to the city, it's not difficult to get the right ones (e.g. firmer) to make the deco job right. 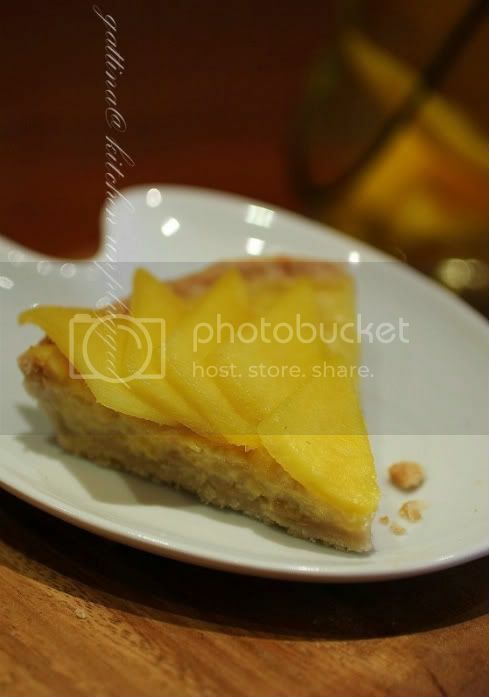 But I am still in love of my tart as it filled with baked mango pudding! In HK the pudding is baked in an individual serving bowl... now I give them a crust and so enlarge the portion. Good food is meant to share. A wonderful tart! Really mouthwatering! I have not eaten mango tart...only mango pudding. This looks beautiful and delicious. Would love to try. I too have seen mango slices used to decorate an entire cake and i was surprised by their perfection! 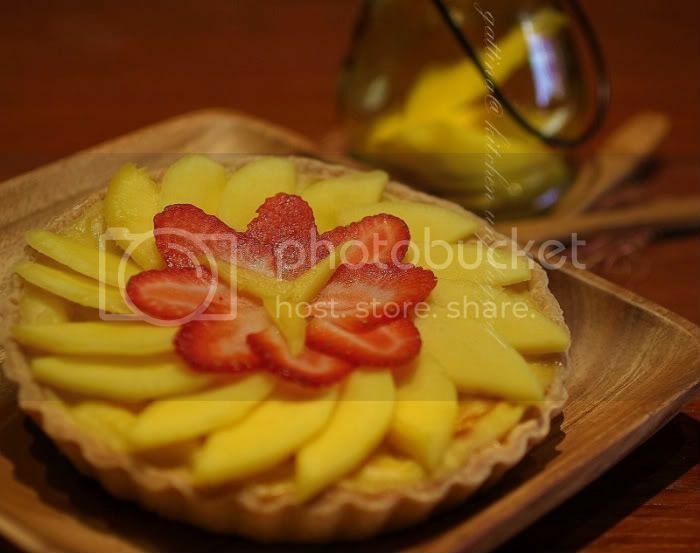 I so love mangoes in tartlets & in tarts!! I can't wait for the delicious recipe, Gattina! Mangos are in full season now, this is a must try before they become too expensive again. G, you are tempting me with this tart. BTW, my crystal bun is a far cry from the Tiong bahru stall. If you have a good one, can share with me pls. Nice to hear from you. Take care.